It appears the monsoon is staying with us this autumn, which is a nice change after a wet summer. Saturday was sunny but we had too many obligations. 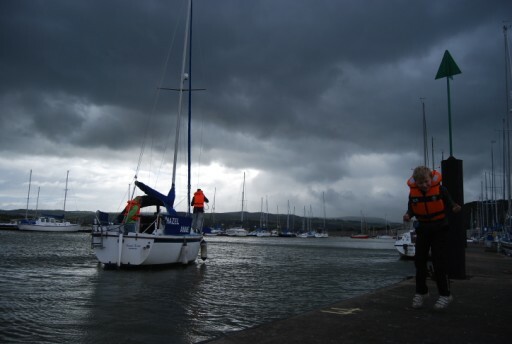 We therefore left home around 16:30 and got to Conwy 17:45 with the tide out. On arrival the usual routine followed of carrying all stuff to the jetty, while the inflatable dinghy does its red turtle impression. Geke had prepared tea at home so dinner was served on the blue deck fairly promptly. 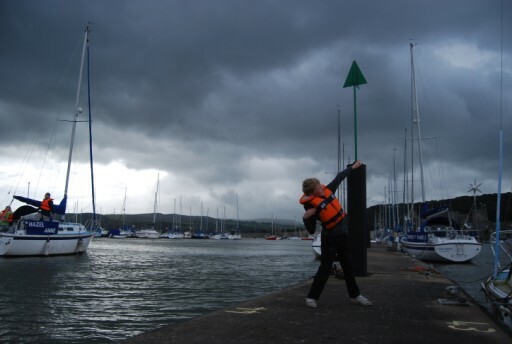 The next morning was windy and plans for a sail around high tide were quickly abandoned. The plan was changed to all do some mooring exercises under engine control. This would also charge the batteries, who'd been left alone for a month. For the first attempt, Meryl and Timo decided to stay on the pontoon. Some strange rituals took place almost appearing as a celebration when we cast off. Next it was Meryl's turn who made a perfect landing on her first attempt. Timo was next and again showed a good control of the boat. This is promising. 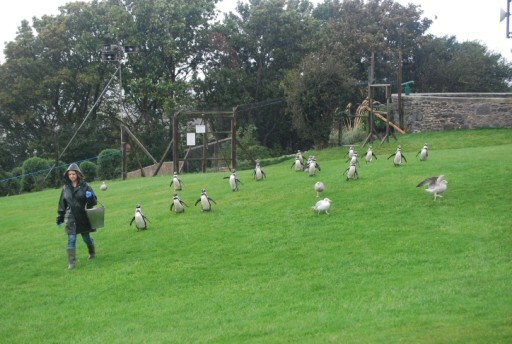 Geke opted the plan to visit the local zoo in Colwyn Bay, which seemed a good option for the Sunday afternoon. It is strange how a Wallabie looks out of place in the pooring rain. The pinguin show was qute and they were wet anyway from the pool. Never mind the rain, we had a lovely day out and the Welsh Mountain Zoo is a beautiful place. At the end of the afternoon we headed back home.